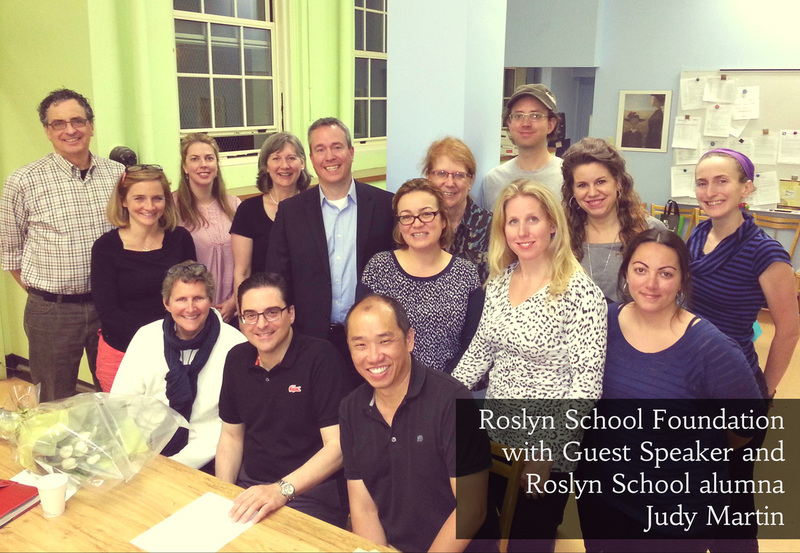 The Roslyn School Foundation was pleased to welcome Judy Martin, Executive Director of the Hylcan Foundation, former President of the Board of Directors of Batshaw Youth and Family Centres and a Roslyn alumna, as guest speaker at its most recent board meeting. Judy addressed the Foundation's Board of Directors as well as key Roslyn School stakeholders during an evening of sharing best practices from her extensive experience in the non-profit sector. Judy discussed different options the Roslyn School Foundation could explore for fundraising, and encouraged the Foundation's Board to take advantage of its privileged position to create a positive culture of giving and volunteering at Roslyn School. It's important for a Board to have a variety of people to be successful. People will need to roll up their sleeves and work hard. With major budget cuts to the education sector expected in the near future, the Roslyn School Foundation must work more than ever towards establishing donor programs and identifying opportunities and projects where community and corporate funds can be directed. The Foundation's Board of Directors would like to sincerely thank Judy Martin for her visit and candid discussion. An inspiring evening! FOLLOW Roslyn School Foundation on Facebook.